The team that brought ‘Black’ to life returns with the next chapter in the story of a world where only black people have superpowers. Kwanza Osajyefo worked in comics for years at Marvel and DC Comics, including on Zuda, DC’s webcomics imprint. But in 2016 when he crowdfunded the miniseries Black, he made a lot of people sit up. 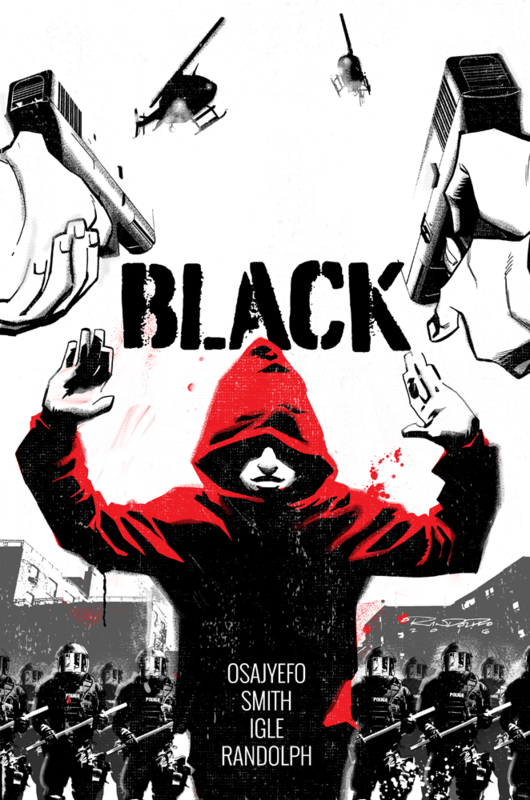 The book, which was released from Black Mask Studios, asked the provocative question, “What if only black people in America had superpowers?” The resulting book was one of the year’s best comics – featuring some of the best artwork in Jamal Igle’s long career – but readers were left hanging at the end of the miniseries about what X, formerly known as Kareem Jenkins, will do next. In the years since, Osajyefo and others have been telling stories in this universe in the Black AF books, but now Osajyefo is back with a new Kickstarter for the miniseries White. The direct sequel to Black and the middle chapter of the trilogy that is the story he always intended to tell, this book gets the band back together, including Igle, Khary Randolph on covers, co-creator and designer Tim Smith 3, and editor Sarah Litt. The Kickstarter is live now and without offering any spoilers, Osajyefo answered a few questions about White, the Black universe and what comes next. The editor-in-chief of the new comics line discusses how the company was formed with longtime friend and collaborator Hart Seely, the first two titles (which Peyer is writing) and more. Tom Peyer has had a long career in comics as a writer and editor. He’s written a long list of superhero titles including Hourman, Legion and The Flash. He co-wrote Cruel and Unusual with Jamie Delano, and with Rachel Pollack, New Gods. Peyer was also a longtime editor at DC and was one of the founding editors of the Vertigo imprint. His new project is AHOY Comics, where he is the editor-in-chief and has written the first two titles from the publisher. The Wrong Earth is a superhero series with artist Jamal Igle, essentially about how the Adam West Batman and The Dark Knight Returns Batman change places. Coming out this week is the second title, High Heaven, a dark comic tale of the afterlife drawn by Greg Scott. Both series contain other material, including short comics and prose stories and various other backup material. Hashtag: Danger, a backup series by Peyer and Chris Giarrusso will appear in the pages of High Heaven. The publisher of AHOY is Hart Seely, who Peyer has long been friends and collaborators with. The two previously edited O Holy Cow! : The Selected Verse of Phil Rizzuto, a book of found poetry by the Hall of Fame baseball player and broadcaster. With High Heaven #1 out this week, I reached out to ask a few questions about the imprint, assembling a comics magazine and not going for laughs when writing the absurd. A North Korean cartoonist looks at the lighter side of defection, an American cartoonist turns down an Iranian award, and Humanoids announces an all-ages horror graphic novel. Struggles and Smiles: Former North Korean animator Choi Seong-guk was surprised at how different the comics were when he defected to South Korea: “When I first saw South Korean cartoons, I just didn’t get them,” he says. “There were no stories about patriotism or catching spies or war. They just seemed useless to me.” There were a lot of other differences too, including some idioms that he misunderstood. Now he has turned his experiences into an online comic that depicts both the funny and the serious side of the lives of North Koreans at home and in South Korea. 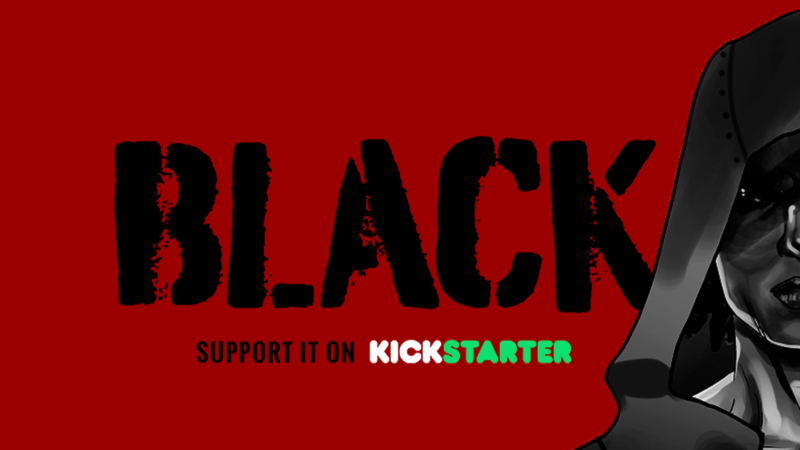 Kwanza Osajyefo, Tim Smith 3, Jamal Igle, Sarah Litt and Khary Randolph launch a Kickstarter to bring ‘Black’ to life. Kwanza Osajyefo, Tim Smith 3, Jamal Igle, Sarah Litt and Khary Randolph have teamed up to create a new graphic novel called Black: “In a world that already fears and hates them – what if only Black people had superpowers?” They’re looking to raise a little under $30,000 via Kickstarter to bring it to life. After miraculously surviving being gunned down by police, a young man learns that he is part of the biggest lie in history. Now he must decide whether it’s safer to keep it a secret or if the truth will set him free. If funded through the Kickstarter campaign, Black will be available digitally to backers as DRM-free PDFs in monthly installments, starting in mid-2016. The limited edition print run of the six-chapter Black graphic novel is due out late in 2016. The campaign runs through Feb. 29. For more information, check out the Kickstarter page, their web site or this Washington Post article.